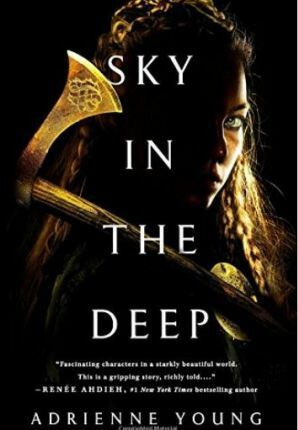 A 2018 Most Anticipated Young Adult book from debut author Adrienne Young, Sky in the Deep is part Wonder Woman, part Vikings--and all heart. Adrienne Young is a born and bred Texan turned California girl. She is a foodie with a deep love of history and travel and a shameless addiction to coffee. When she's not writing, you can find her on her yoga mat, scouring antique fairs for old books, sipping wine over long dinners, or disappearing into her favorite art museums. She lives with her documentary filmmaker husband and their four little wildlings beneath the West Coast sun.